Cooking Holiday meals? Let's try some healthy alternatives. •	Instead of frying your fish, make an aspic, or bake it in foil. •	Prepare no more than 150g per serving. •	If you are set on having fried dish, do it on a Teflon pan, without using fat. •	Don't sweeten Christmas Eve soups. •	A soup serving of about 1 cup per person should be sufficient. •	Don't add roux to the cabbage and mushrooms – it wouldn't be a fasting meal anymore. •	At least partially replace dried mushrooms (which are hard to digest) with fresh mushrooms. •	Don't use olive oil with the herring. Instead, try some skimmed sour cream or plain yogurt sauce. •	Instead of mayonnaise or fat sour cream, use plain yogurt. •	Temper the mayonnaise with some yogurt in your salad. 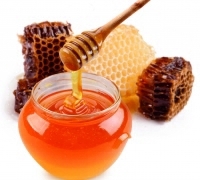 •	Reduce the amount of dried fruits and honey by half while preparing cakes and sweets. 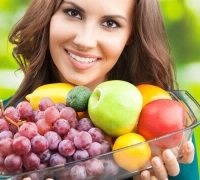 •	Serve fruits on the Christmas table – they're much better than cake. •	Do not add sugar to the dried fruits compote. •	Prepare cold desserts using sweetener instead of sugar. •	Instead of greasing the molds and casserole dishes, use special baking paper. 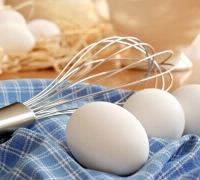 •	Use more egg whites, and less yolks, when preparing cakes. •	Set the table with small dishes – especially when it comes to soup bowls and plates. Ideally, your table design should be dominated by dark colors. Put all the ingredients in the compote and simmer, not allowing to boil, with the lid on, at low heat, until the fruits become soft. Serve with fresh mandarin particles.